Can I tell you that I love books! Books and magazines! Even in this technology stage I love to be able to hold a book or a magazine in my hands. If I could I would buy/magazine a book or two or three every chance that I got. 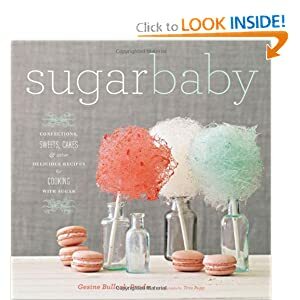 When it comes to reading books for pleasure I would usually check them out from the library but when it comes to reference/coffee books I usually would buy them when they are on sale. 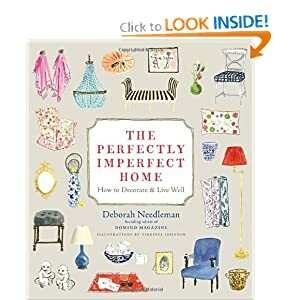 Well, there are few books that I have been eyeing and with my birthday in a month I am thinking of a great present for me! 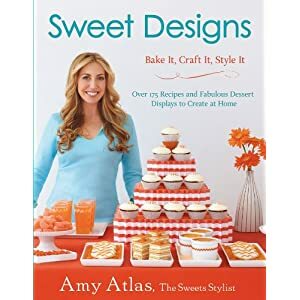 She is the master of dessert table. 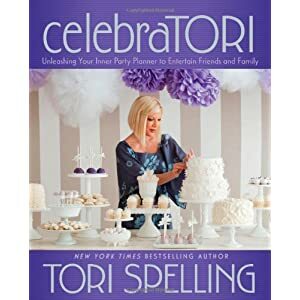 I love her blog and cannot wait to have this book in my hands! Believe it or not I was never a huge fan of Tori. Last year while flipping through the channels I landed on her show. I watched and realized that she is a normal human being and a very involved mom. I watched the episode where they were showing the shooting of the book. The parties look like fun. 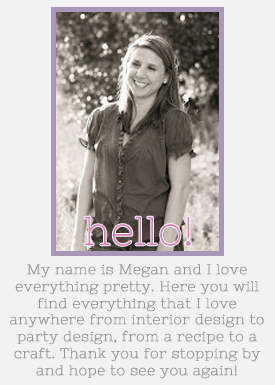 Plus I am very inspired by Jenny from Jenny Cookies who is a very talented gal from Snohomish, WA. She is the one who made the cakes, cupcakes, sweets for the party shoots. 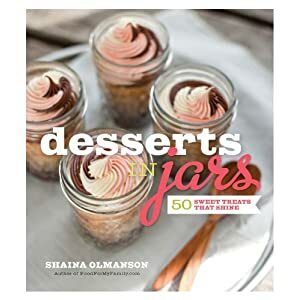 Who doesn’t love dessert in a jar? 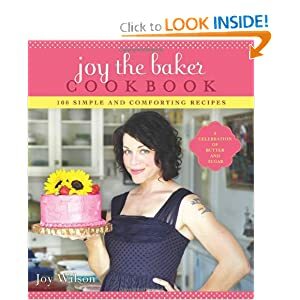 Joy the Baker – a great blogger with great recipes. I love the cake that she is holding. I saw an insert of her story and loved the way she talks about cooking and herself. I want to buy this book only because I love the cover. From what I understand it’s all about working with sugar, nothing else. Yet, I am scared of working with sugar other than eating it raw. I love eating sugar cubes. Does that make me weird? 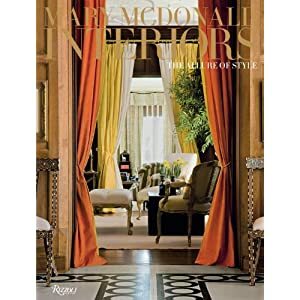 I love the title of this book and after reading the reviews it might be a good reference and to browse through. It is about making it your own, with your own style maybe with things you might have, things for the flea market or things that are just brand new. 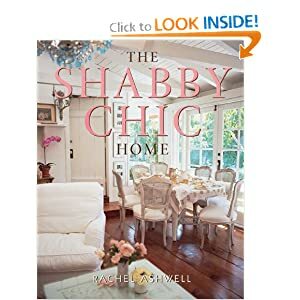 Rachel Ahswell has a few books out that are all about Shabby Chic. I might get one of them . Black and White (and a bit in between) and Mary McDonald look like two book I want to browse through. 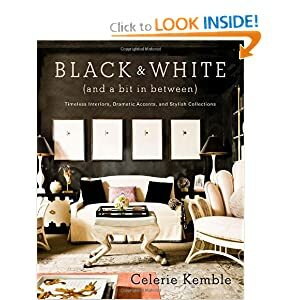 I really love the drama of the black and white interiors. 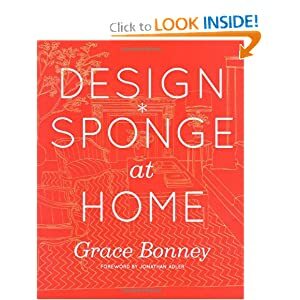 Design Sponge at Home - I know this book has been out for a while and most of you probably have it, but I don’t. I have flipped through the book a million time at the store yet haven’t made the decision to buy it.